This fun pattern started with a simple foam stamp that I cut and inscribed. I stamped with it in my art journal with acrylic paint and then scanned it into my computer. 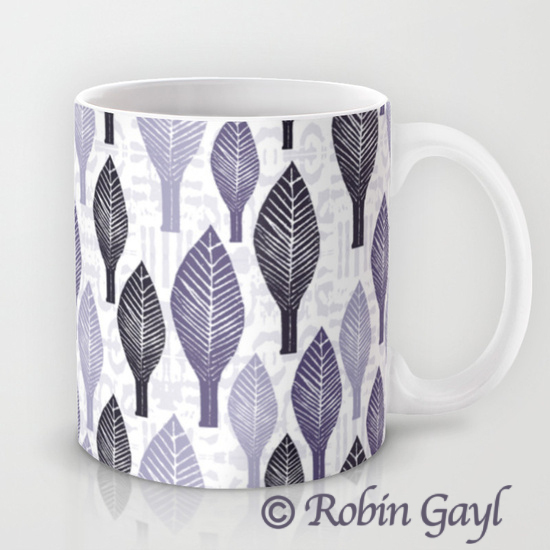 I brought it into Photoshop and stamped out the repeat pattern with different shades of lavender and black and added another digital background. The print and other items for this are available for purchase in my Society6 shop. I really love it as a mug (see below). 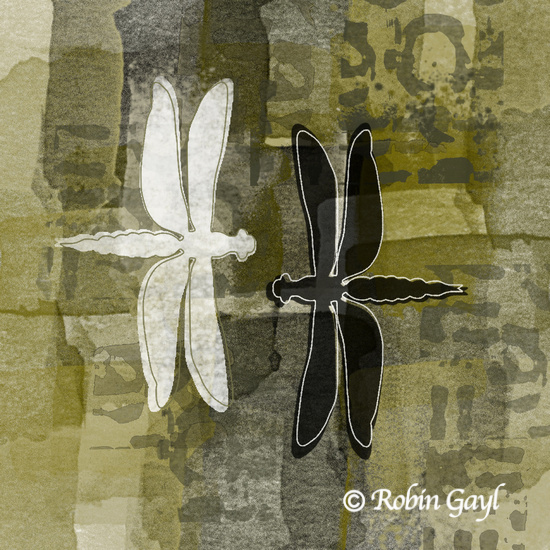 I created this using a gelliprint background and hand drawn dragonflies illustrations that were scanned and digitally blended in Photoshop....enhanced with my own Photoshop brushes. Prints available for purchase in my Society6 shop. I was having some fun painting simple circles in watercolor in my art journal. I love the unpredictable effect of watercolor and the blending of the colors. I took several of my favorite watercolor circles and scanned them into my computer. 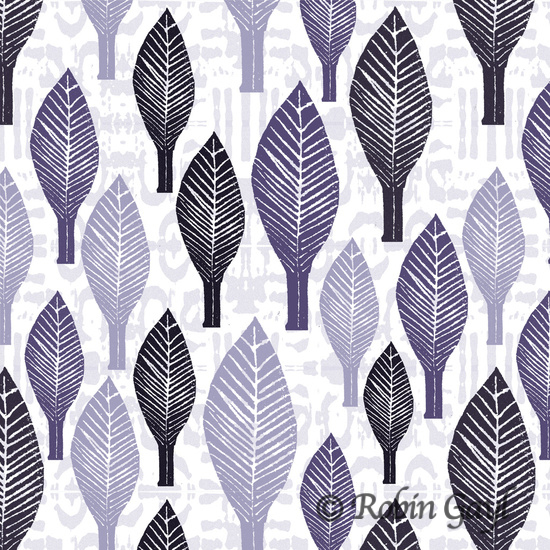 In photoshop, I turned them into brushes and created this repeat pattern. 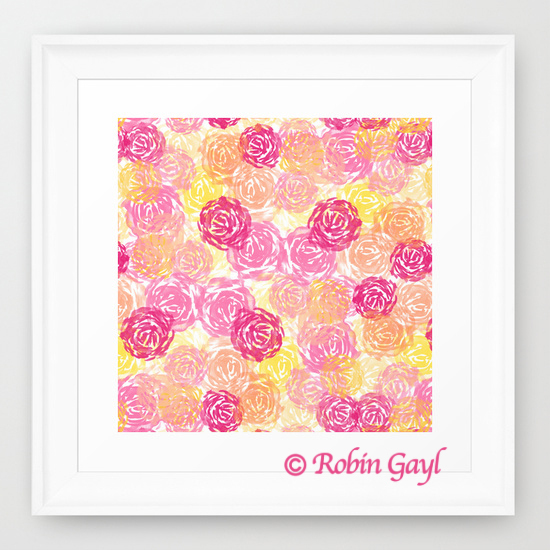 I painted these soft floral images in my art journal with my new Mijello Mission Gold Watercolors, scanned them into Photoshop, turned them into brushes and created this bright and cheery abstract repeat pattern. Available as a print and on other items in my Society6 store. 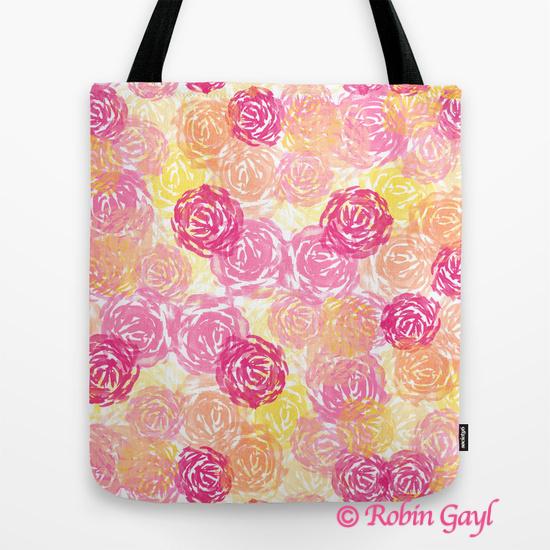 The tote looks great for a trip to the beach! 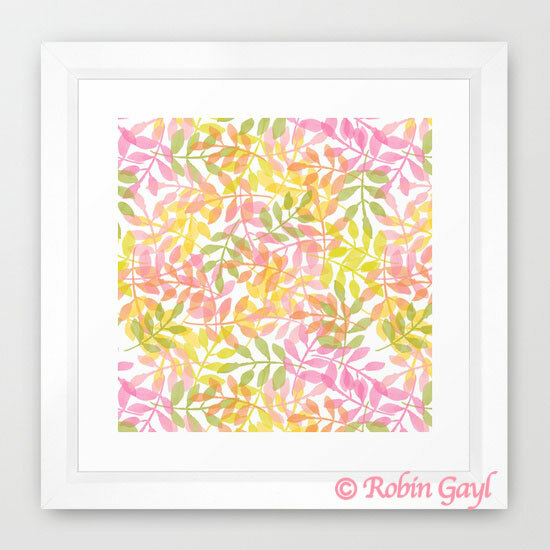 I used my new Mijello Mission Gold watercolors to paint these lovely curved vines. 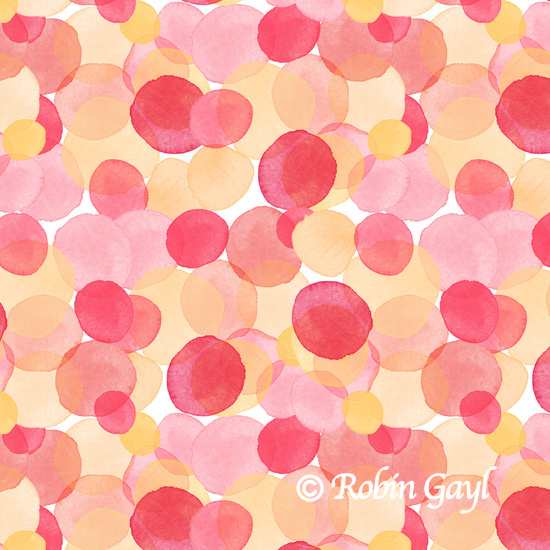 Then I scanned them and turned them into brushes in Photoshop and created this summery looking repeat pattern. 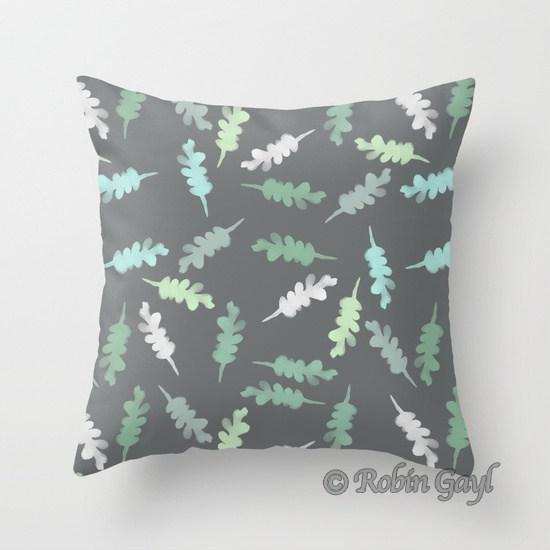 The print is available for sale in my Society6 store. 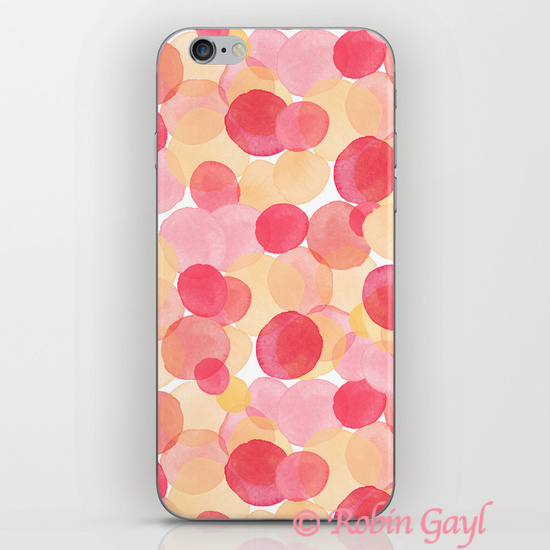 I also love this pattern as a phone cover (see below). I recently had the pleasure of connecting with Margaret Applin and had the chance to share with her how much her her online workshops have inspired me. If you're not familiar with Margaret, you should definitely check out her blog. Margaret is a mixed media artist who loves to experiment with a range of mediums and digital techniques. Through Interweave you can purchase a number of her incredibly valuable workshops to learn how to create personal imagery with stencils and stamps and how to incorporate your handmade art into the digital realm. You can read her latest blog post where she interviewed me about how my own art has evolved and what specifically about her workshops I found most valuable. Margaret also just launched her own line of stencils through Joggles Inc. which are wonderful! Here she demos these fabulous design tools. 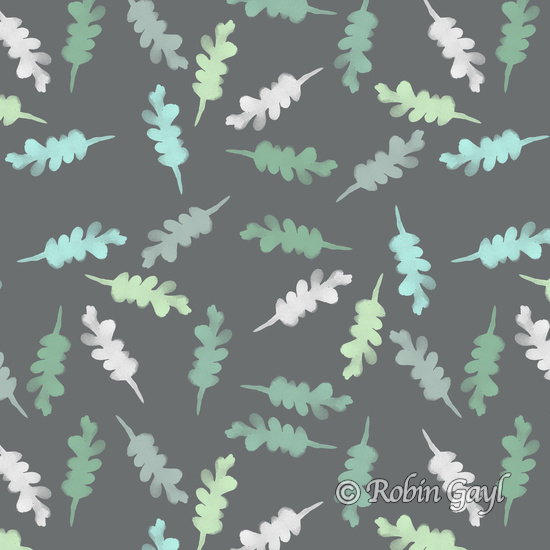 This pattern began when I painted watercolor oak leaves in my art journal. 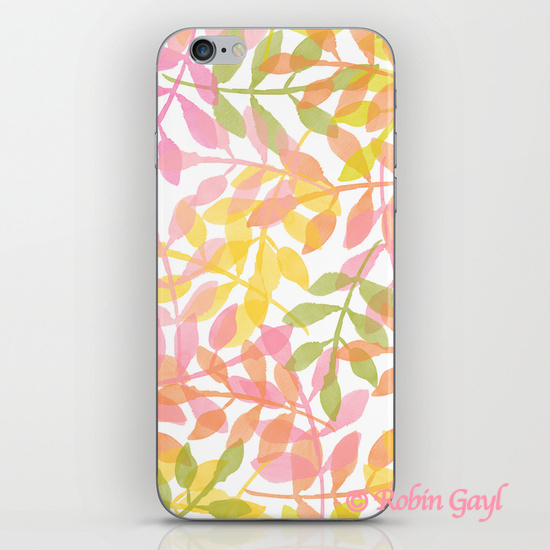 I scanned the leaves and created this toss repeat pattern in Photoshop. Available in a print and on other items in my Society6 shop. I really love it as a throw pillow (2nd image).